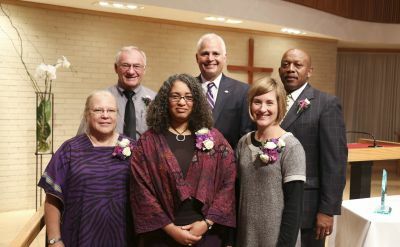 The 2016 Goshen College Culture for Service Awards will be presented to Ellah Wakatama Allfrey ’88 and Dr. Doug Schwartzentruber ’78. The 2016 Dr. Ruth Gunden Champion of Character Award will go to Aletha Stahl ’89, and the Dr. Roman Gingerich Champion of Character Award will go to James Gingerich ’66. 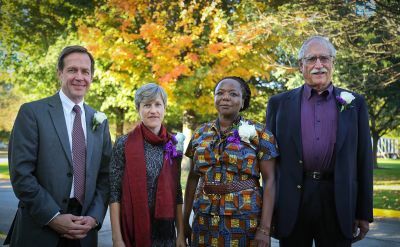 The 2015 Culture for Service Awards will be presented to Kathy Short ’75 and Aliko Songolo ’68. The 2015 Young Alumni Servant Leadership Award will be presented to Sonia Graber ’00. 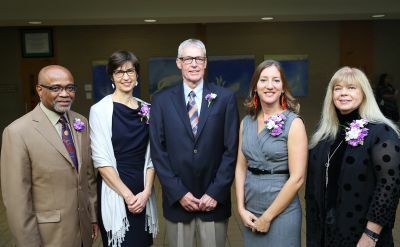 The 2015 Dr. Ruth Gunden Champion of Character Award will go to Alice Gunden Bender ’80, and the Dr. Roman Gingerich Champion of Character Award will go to Ken Pletcher ’70.